Ivan Alexandrovich Tcherepnin (1943–1998) was an American experimental / postmodernist composer, son of pianist-composer Alexander Tcherepnin and grandson of composer Nicolas Tcherepnin. 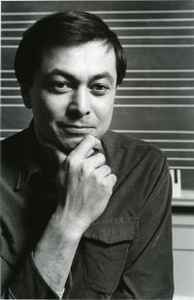 His elder brother Serge Tcherepnin is also an electronic music composer and inventor of Serge Modular synthesizer. Both his sons, Stefan Tcherepnin (b. 1977) and Sergei Tcherepnin (b. 1981) also became composers. Tcherepnin was born in Issy-les-Moulineaux, France and studied composition with Leon Kirchner, Karlheinz Stockhausen, Henri Pousseur, and Pierre Boulez. After teaching briefly at the San Francisco Conservatory of Music and Stanford University, Ivan became a life-long director of the Harvard University Studio For Electro-Acoustic Composition (1972–98). Ivan Tcherepnin was the winner of the 1996 Grawemeyer Award in Music Composition for his Double Concerto for Violin, Cello and Orchestra. He also received an award from the American Society of Composers, Authors and Publishers (1963-1995) and the National Endowment for the Arts (1977). His performance of Santur Opera earned the 1982 Grand Prize at the Ars Electronica Festival in Linz, Austria.